The Supreme Court today brought the pathetic condition of country’s several national highways into sharp focus by questioning the need for public to pay toll tax if the roads are full of potholes, broken and in poor shape. “Why should public pay toll tax if the condition of roads is bad and they are facing problems. Common man cannot be made to punish for the wrongs committed by the government. Upkeep of the national highway is the responsibility of the central government”, a bench of justices T S Thakur and Kurian Joseph said reducing the toll tax on a stretch of NH 6 which runs through Chattisgarh by 20 percent. The concessionaire of the highway—DSC-Viacom Ventures Private Limited and the centre had approached the apex court against the high court staying a decision of the National Highway Authority of India to increase the tax by 40 percent. During the hearing, the bench said that overloaded trucks were being allowed to ply on roads and this was one of the main reasons for poor conditions. It said that proper action against such vehicles was the need of the hour. The court also suggested setting up of weigh bridges along highways. “Why are overloaded trucks let off scot free? This is a big scam. Smacks of corruption. They are largely responsible for roads breaking up”, said Justice Thakur. The controversy related to the alleged failure of the company to repair the road between Raipur to Durg in the state that had led to issuance of direction against it by the High Court. Recently, the apex court had appointed a three-member panel, comprising former Raipur District Judge Arvind Shrivastava as its Chairman, and Chief Engineer of National Highway Authority of India of the region along with Chief Engineer, Public Works Department of Chhatisgarh, as members. 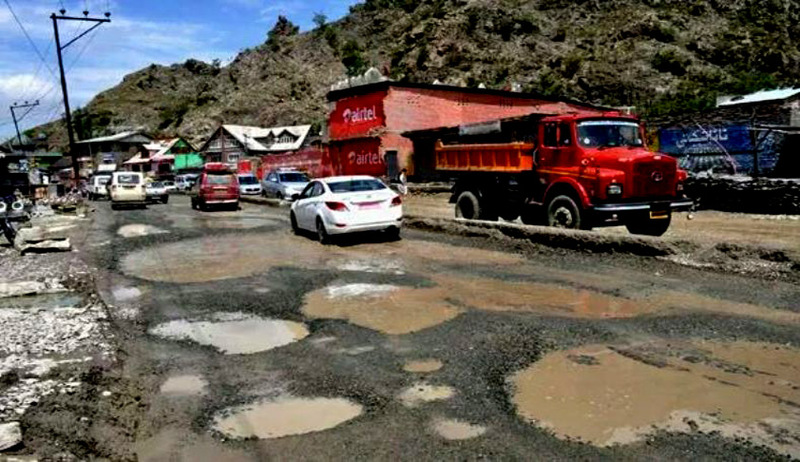 It had asked the panel to inspect the road and submit a report as to its condition as also the nature and the extent of repairs required for it. The report shall also estimate the cost of the repairs to be carried out and whether any repair work has at all been carried out at any stage, the court had said. Later, the panel filed the report in the court and said that the road in question required extensive repairs. The estimate prepared by the Committee suggests that the repairs may involve expenditure in a sum of Rs 19 crores or so, the court had noted. The Centre`s policy of charging toll tax from vehicles had come under scrutiny of the apex court earlier too. In May 2012 a bench of justices DK Jain and Anil R Dave while hearing a PIL pertaining to toll tax on NH-8 connecting Delhi and Gurgaon had even directed the National Highway Authority of India (NHAI) to explain its policy for toll tax. "What is your policy. Public must know about it. It (building roads) should not be only to help builders and contractors. I do not understand your policy. We want to know what is your policy. Why should people pay toll tax when there is no smooth driving on road," the bench had said. "See the condition of the road. It results in serious accident but traveller has to pay toll tax," it remarked. The court was then hearing a PIL filed by an NGO People`s Voice seeking its direction to restrain the Centre from alleged arbitrary collection of toll tax on the country`s national highways.